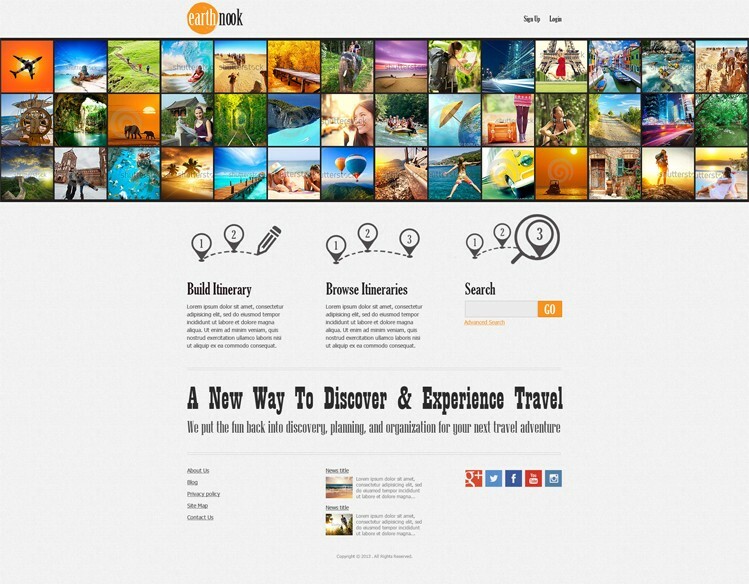 Here is a layout of a travel website which gives its users the opportunity to share their own itineraries. Earth nook is something interesting, useful and enjoyable for the real travellers. We did our best to create impressive and user-friendly design.